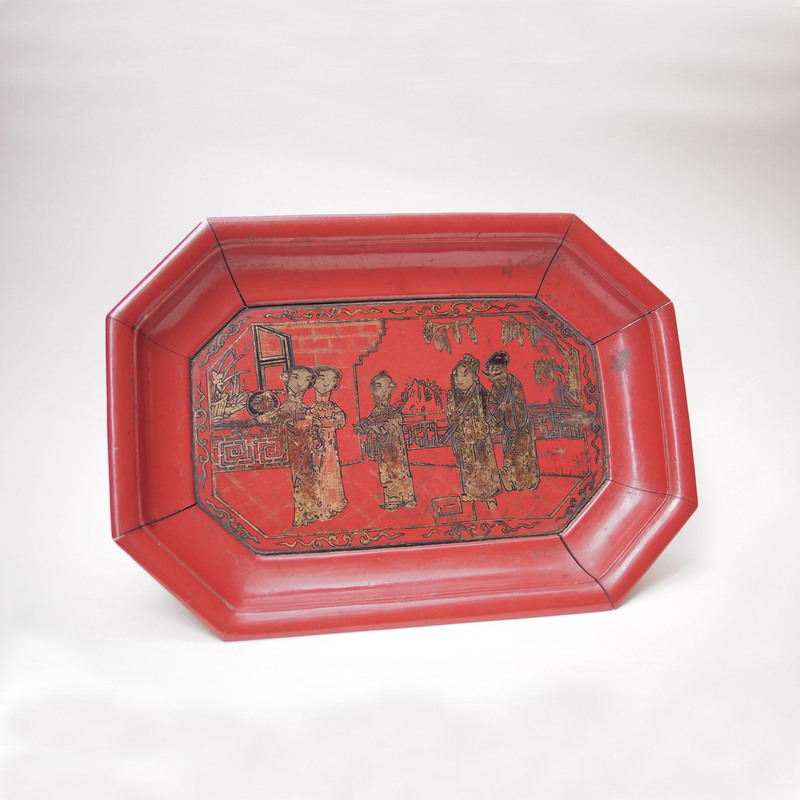 The story depicted on this lacquer tray is from the same book, Jing Shi Tong Yan, as the Madame White Snake legend featured a couple of days earlier. The story about the flamboyant artist scholar Tong Yin; one day on a boating trip he sensed that a maid on another boat was smiling to him. Electrified he ordered the boatman to followed the other boat and found out it belonged to the family of a court scholar. Tong Yin disguised himself and applied for a job as a scholar assistant for the family and named himself Hau An. 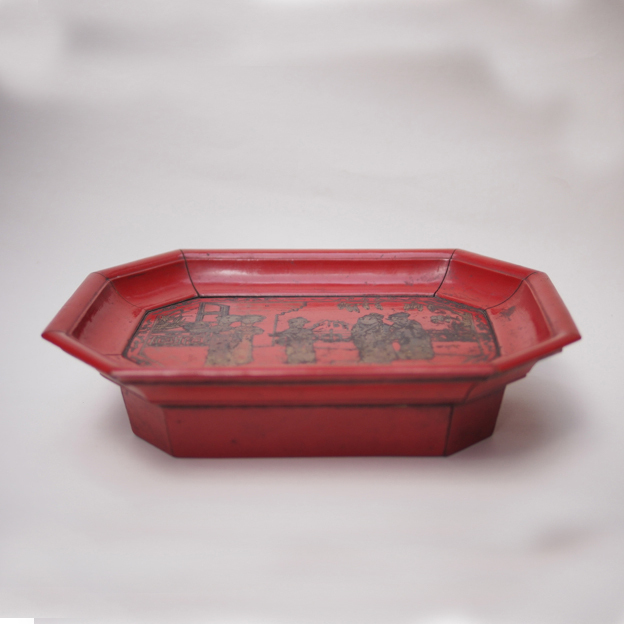 Being over qualified for the job, he soon got promoted and trusted by the family and meanwhile he managed to find out the maid was called Qiu Xiang who directly serves the lady of the house. The family wanted to promote Hau An as the person in charge but was weary of his single statue and suggested to arrange a marriage for him. When Hau An found out about this, he proposed to pick one of maid as his wife. The family agreed and on the same night, all the maids were there to be chosen but Hau An did not make a decision. It turned out that Qiu Xiang was not there, the lady of the house then sermon her personal maid also to be present. Hau An picked Qiu Xiang, married and lived happily ever after. This story however, has nothing to do with the history of Tong Yin who got married three times; his first wife passed away at the age of 24, second wife left him and the third wife was a famous prostitute called Chen Jiu Niang.